3 years & up. This adorable book comes with tips, tricks and tools to make your Elf on the Shelf(R) tradition more exciting and magical! 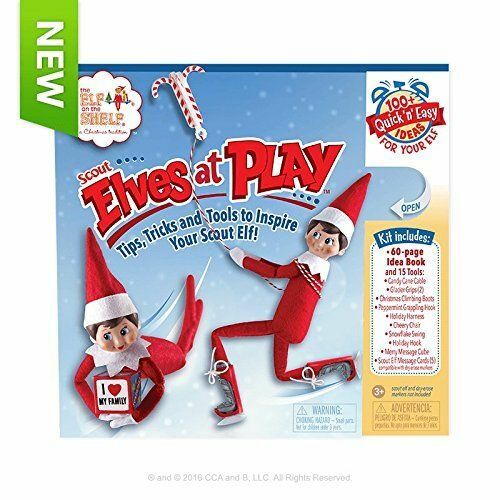 Follow the Scout Elf Training Team through 60 pages of mischievous ideas for your Scout Elf to be a part of. Each idea matches up with the included tools to help create moments that make your children laugh and encourage them to do good deeds. What will the Scout Elf do and say next? 60 pages. 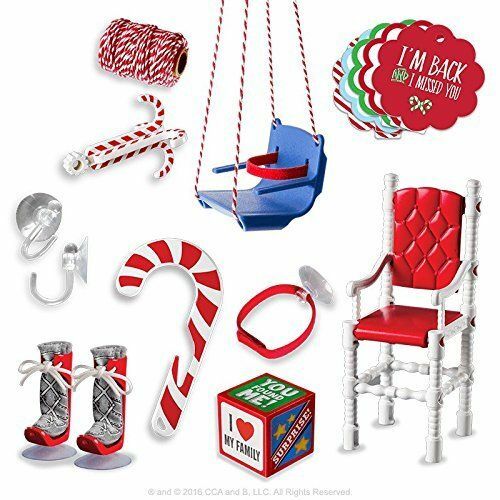 Includes: 60-Page idea book and 15 elf-sized tools: Candy cane cable, Christmas climbing boots, Peppermint grappling hook, Holiday harness, Cheery chair, Snowflake swing, Holiday hook, Merry message cube, Scout Elf message cards (3).